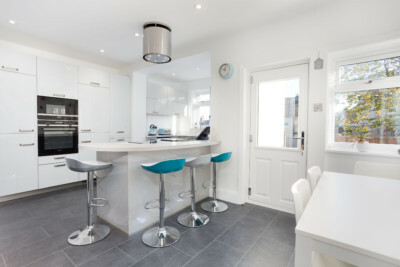 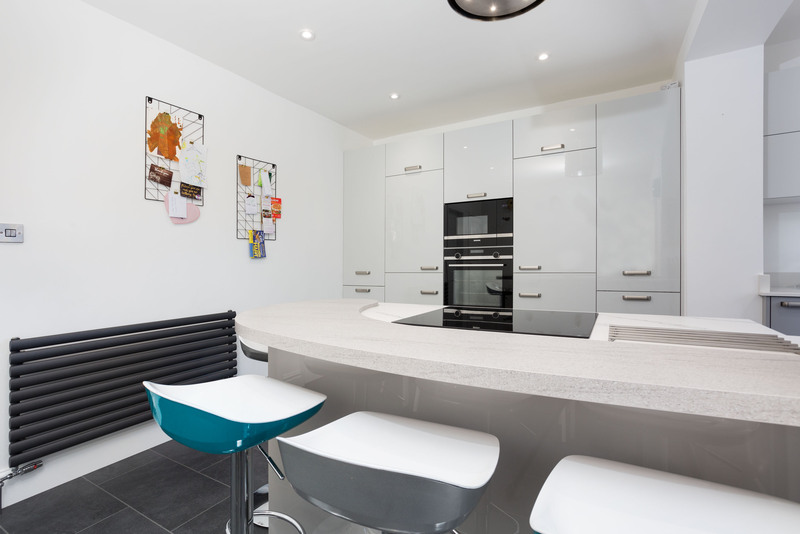 This attractive, spacious kitchen belongs to Paul and Rebecca. 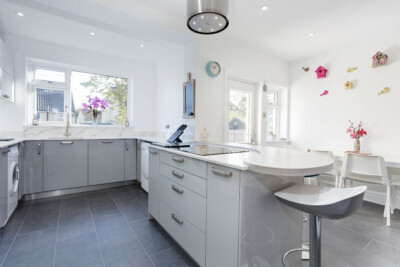 They decided on two different colours, Uni Gloss- Stone Grey and Uni Gloss-Crystal grey, giving off a brilliant contrast between light and dark greys. The kitchen definitely wasn’t short on storage, with a huge bank of tall units , with a Siemens microwave and IQ500 oven situated in the middle. 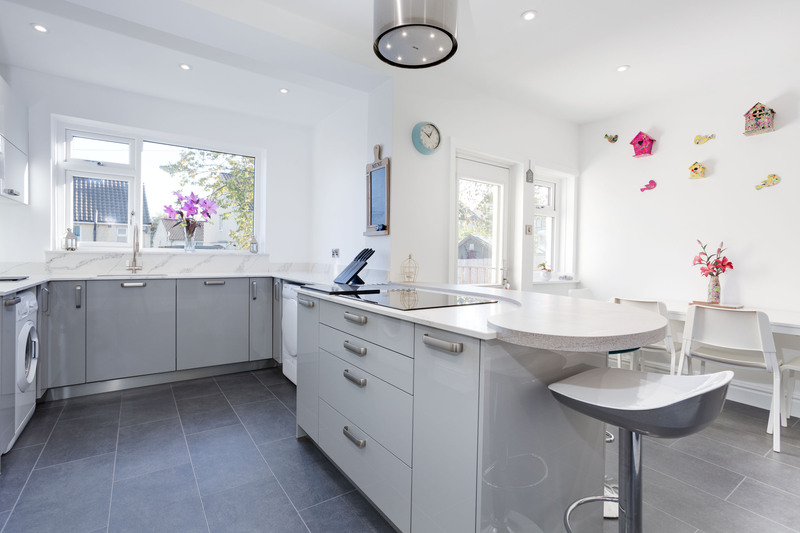 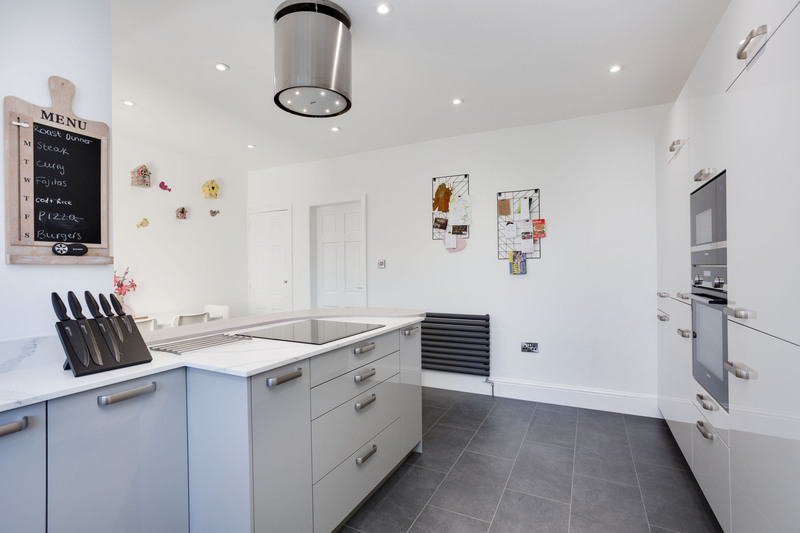 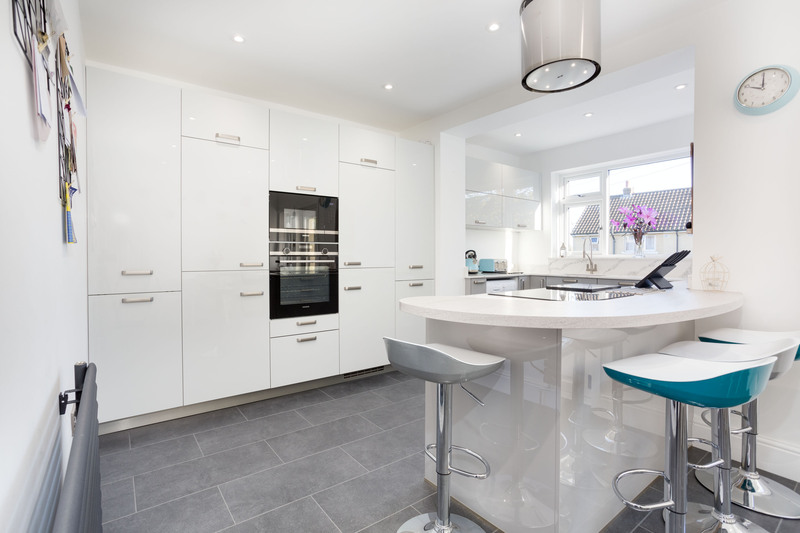 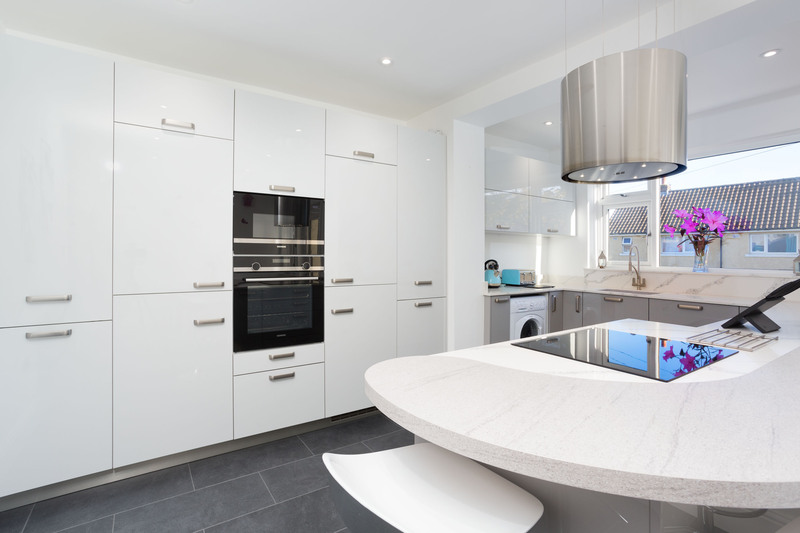 They decided on a stunning piece of Cliveden- Calacatta Neptune Quartz for their worktops, with a bespoke shaped laminate breakfast bar in Vesuvius Grey. Various appliances were chosen, including a Faber- Zoom extractor hood, which is suspended from the ceiling, capable of ascending and descending from the Siemens 4 zone induction hob beneath.